Klein, Freemont, Bonar et Al. 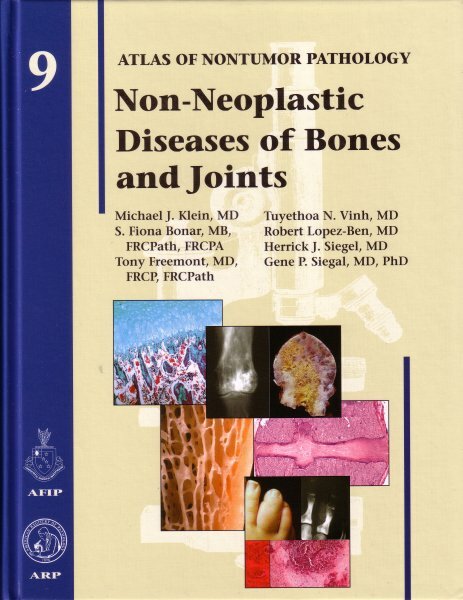 This atlas is a histological reference for surgical pathologists not familiar or comfortable with the diagnosis of non-tumorous diseases of bones and joints. One in three physician office visits are due to bone or joint complaints; yet only one in thirty thousand orthopedic patients has a bone tumor. The diagnosis of orthopedic diseases is a complex enterprise requiring cross specialty cooperation. While contributions from orthopedic surgeons, radiologists, and rheumatologists have been included to provide more clinical relevance to this work, the emphasis is on surgical pathology of bone and joint diseases. The original and comprehensive photographs, illustrations, and tables in this reference enhance clinicopathologic correlation and diagnostic application in a way seldom provided by previous pathology resources.